Add some interest to your recognition ceremony this year with the Bronze Casted Rosewood Frame Plaque! 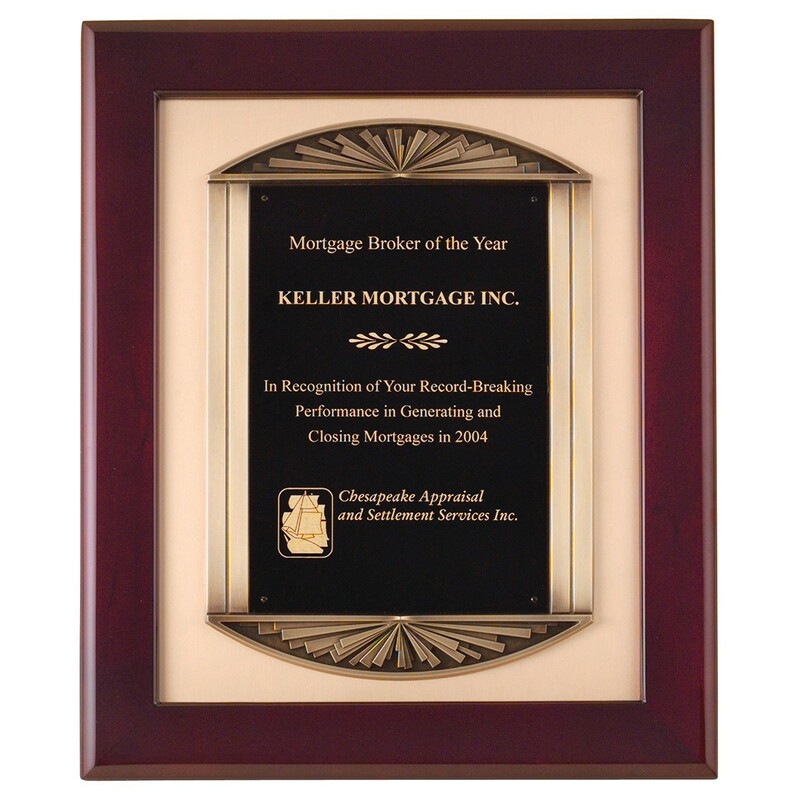 This interesting plaque has a bronze-finish cast holder for a black brass plate which is mounted in a rosewood frame plaque. Your engraving is etched in gold on the black plate. This plaque measures 14x17 inches.